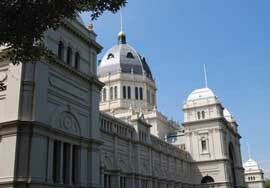 Melbourne is full of unique architecture ranging from early historic buildings to modern contemporary marvels. This Design and Innovation walking tour takes you past 23 of Melbourne's diverse architectural wonders. ........It's the brochure headed Design and Innovation although the actual route is titled the City Spine Walking Tour. There's a mixture of old buildings and new on this route, many completely unique and inspiring. Twelve of the buildings have been built since 2000. It really shows what a contemporary city Melbourne is allowing all these modern creative visions to be built. 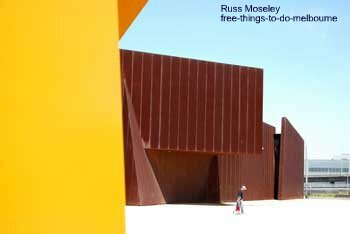 You start at the marvelous Australian Centre for Contemporary Art (see photo at top) and the route takes between 1.5 and 2 hours and finishes at Melbourne Museum. ........This walk takes about an hour.